Post buses have their justified place in the history of postal services. The first buses used in the interwar period were created by a simple modification (additional benches and cover) of lorries. They were later replaced by new Czechoslovak and foreign buses. 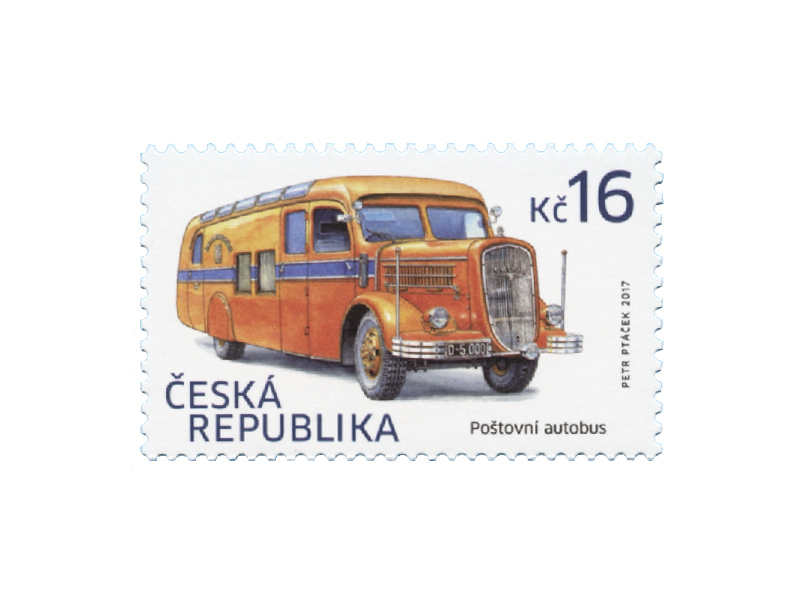 Out of the rich history of these buses, the stamp portrays a bus based on the Škoda 606. The Škoda 606 was a utility car produced by the Czechoslovak car manufacturer Škoda. The main types included the classic platform lorry and bus (cars identified as DN and DND). They were produced between 1930 and 1941.